You must be a member of the Gent Party People Group to attend this activity. Would you like to join this group? As someone living in Kortrijk I wanted to take advantage of the blessings of the InterNations website. How about we make a change and meet at Kortrijk? The event will take place at the Protected content It is famous for its variety of alcoholic drinks as well as its pizza's. 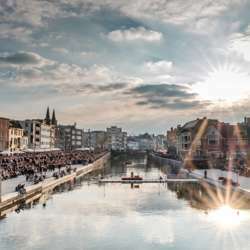 People who travel to Kortrijk can spend the night at the hotel by booking online if they wish. You can find the prices online. Please confirm your attendance only if you surely come.